Bowen’s most recent research focuses on food access and on the relationships between food insecurity, inequality and childhood obesity. She directs Voices into Action: The Families, Food, and Health Project, which aims to use research and community partnerships to encourage and support projects and activities that impact food access and places to be active in North Carolina. An additional area of research focuses on the French notion of terroir and its applicability for farmers and food producers in the United States and Latin America. Interview on socioeconomic inequality in feeding familiesSarah Bowen, Civil Eats, March 1, 2019. Sarah Bowen's research on socioeconomic inequality in feeding families discussed in Lela Nargi, "More Time in the Kitchen May Not Be the Answer to Feeding Kids Well," Civil Eats, March 1, 2019. "If Congress Changes Food Stamp Requirements, Kids Will Go Hungry," Sarah Bowen (with Sinikka Elliott and Annie Hardison-Moody), The New York Times, July 1, 2018. Sarah Bowen's research on food stamps discussed in Alfred Lubrano, "Attacking People in Poverty for Buying Birthday Cakes and Other Treats with Food Stamps," The Philadelphia Inquirer, June 18, 2018. Sarah Bowen quoted on child hunger in Lela Nargi, "What Children Understand about Food Insecurity" Civil Eats, March 26, 2018. Sarah Bowen quoted in Robert Preidt, "Poor, Minority Moms Face Tough Judgments over Kids' Weight" HealthDay, March 13, 2018. Sarah Bowen quoted on low-income mothers and food assistance, "Poor Mothers Face Greater Scrutiny over Their Children's Weight" Medical Xpress, March 6, 2018. Sarah Bowen quoted in David Hammond, "Sotol, Spirit of the North American Desert" Chicago Tribune, February 28, 2018. "Attending the Nobel Prize Ceremony after Trump Snubbed the Winners," Sarah Bowen (with Mark Nance), The New York Times, December 20, 2017. Guest to discuss the reasons people don’t cook on BBC's The Food Chain, Sarah Bowen, May 7, 2017. Sarah Bowen quoted on diet choices, "Money, Not Access, Key to Resident Food Choices in 'Food Deserts'" Feedstuffs, March 14, 2017. "Restricting What Recipients of SNAP Benefits Eat Won't Fix Nutritional Issues," Sarah Bowen (with Sinnikka Elliott), The Hill, February 17, 2017. Sarah Bowen quoted on how unhealthy foods can serve a purpose in certain situations in Max Ehrenfreund, "The Difference between What Rich and Poor Americans Eat is Getting Bigger" The Washington Post, June 23, 2016. Interview on the battle over how to define mezcalSarah Bowen, Mezcalistas, May 18, 2015. Sarah Bowen quoted on trying to improve the diets of poor American families in Max Ehrenfreund, "Gwyneth Paltrow Bought on Food Stamps What Only Rich People Buy" The Washington Post, April 18, 2015. Sarah Bowen's research on family meals discussed in Mark Bittman, "Fight Poverty, Not Cooking," New York Times, November 4, 2014. "Why We Need to Rethink Family Meals," Sarah Bowen (with Sinikka Elliott and Joslyn Brenton), The Plate, National Geographic, October 7, 2014. Guest to discuss family meal times on WNYC’s The Takeaway, Sarah Bowen, October 1, 2014. Sarah Bowen's research on family meals discussed in "With Home Cooking, is Feeding the Family, Feeding Resentment?," New York Times, September 21, 2014. 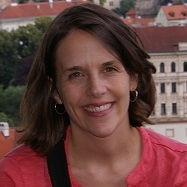 Guest to discuss family meal times on WPR’s Central Time, Sarah Bowen, September 12, 2014. Sarah Bowen's research on family meal times discussed in Diana Reese, "The Home-Cooked Family Dinner: Yes, It’s a Burden for Moms but is It Worthwhile?," The Washington Post, September 8, 2014. Sarah Bowen's research on family meal times discussed in Anna North, "When Family Dinner Doesn’t Satisfy," New York Times, September 8, 2014. Sarah Bowen's research on family meal times discussed in Belinda Luscombe, "We Need to Stop Guilting Parents into Cooking Dinner," Time, September 5, 2014. Sarah Bowen's research on family meal times discussed in Charles Pulliam-Moore, "Study Finds that Home-Cooking Disproporationately Burdens Mothers," PBS Newshour, September 4, 2014. Sarah Bowen's research on family meal times discussed in Jeffrey Kluger, "Why I Don’t Eat with My Kids," Time, September 4, 2014. "Trying to Fortify Food Deserts in NC," Sarah Bowen, News and Observer, April 26, 2014. "Local or Localized? Exploring Franco-Mediterranean Contributions to Alternative Food System Research" (with Tad Mutersbaugh). Agriculture and Human Values 3, no. 2 (2014): 201-213. Argues that while American scholars and policymakers tend to understand “local” food in terms of the distance between producers and consumers, framing local food systems as (temporally and spatially) anchored in particular territories may offer greater rural development opportunities. "The Joy of Cooking?" (with with Sinikka Elliott and Joslyn Brenton). Contexts 13, no. 3 (2014): 20-25. Argues that the message that good parents – and in particular, good mothers – cook for their families dovetails with increasingly intensive and unrealistic standards of “good” mothers. Shows how for both middle- and lower-class families, cooking is complicated by time pressures, trade-offs designed to save money, and the burden of pleasing others. Argues that being poor makes it nearly impossible to enact the foodie version of a home-cooked meal.